For the 17th year, Concordia University had the lowest energy cost per unit area compared to six other major universities in Quebec in 2015-2016, according to a Ministère de l’Éducation et de l’Enseignement supérieur report. Concordia also consumed the least amount of energy per unit area, which it has championed for the last 19 years. Concordia has buildings that date back to the late 1800s, like the Grey Nuns Building on René-Lévesque Blvd. and Guy St. which was built in 1871. Construction on the Loyola campus began in 1913, and continued until 1927. With buildings as old as these, it may be surprising that Concordia has managed to lead the way in energy consumption for Quebec universities. 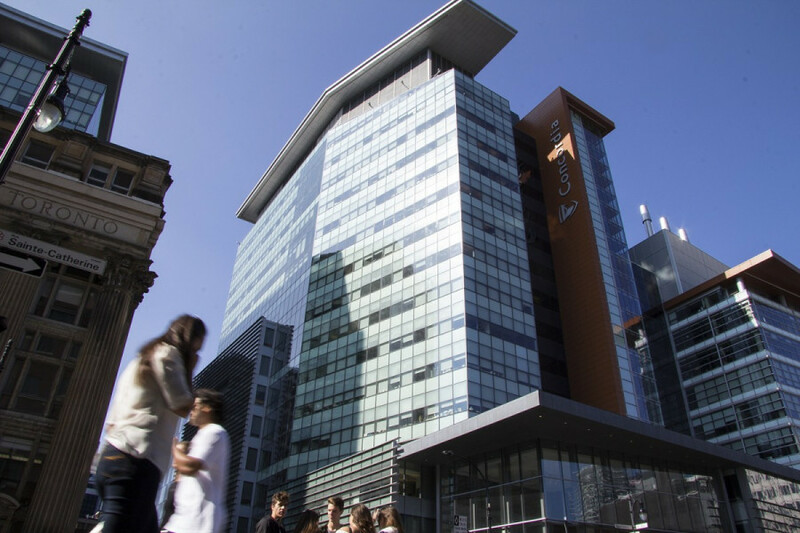 But according to Daniel Gauthier, the building performance coordinator for Facilities Management, Concordia actually has more new buildings than other Quebec universities. Gauthier explained that Concordia has three Leadership in Energy and Environmental Design certified buildings, with a fourth one on the way with the Innovation Hub being built next year on the Loyola Campus. To make the cut, LEED rated buildings take a number of factors into consideration. Concordia will be adding electric vehicle charging stations and more bicycle parking at the Innovation Hub next year. Gauthier also said that Concordia has stricter building standards than other universities. “We’re often trying leading edge ventilation controls and demand based things,” he explained. Equipment lifecycle cost also plays a major role in Concordia’s energy consumption. Gauthier explained that most of the older buildings on campus have been retrofitted with newer ventilation systems and heating and cooling systems. But Gauthier explained that not all buildings on Concordia’s campus can be renovated, like the FC Chapel on the Loyola campus, which is one of the few buildings Concordia owns that is still heated by steam. “The FC Chapel is a heritage building, so we can’t necessarily do whatever we want to it. Same thing with the Grey Nuns Building. We still have to operate within the constraints of laws and regulations,” Gauthier said. Of the LEED certified buildings, the Perform Centre on the Loyola campus, and the Research Centre for Structural and Functional Genomics are gold and silver medal certified, respectively. The John Molson Building on the Sir George Williams campus also scores as LEED certified, but is not medal awarded. Gauthier said that they’re aiming for the Innovation Hub to be certified gold standard.